The newest attraction in Town, a small adventure in the Big City! 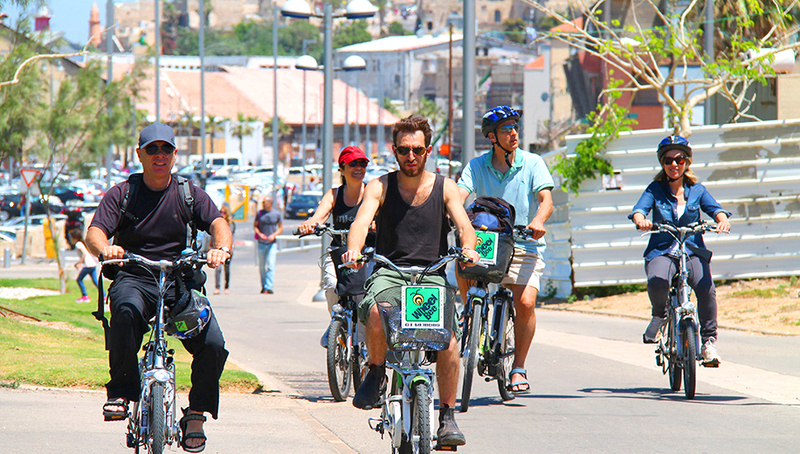 Whiz around Tel Aviv’s bike paths with a Certified Tour Guide! Learn about the White City’s history, culture and people in a new and exciting way! 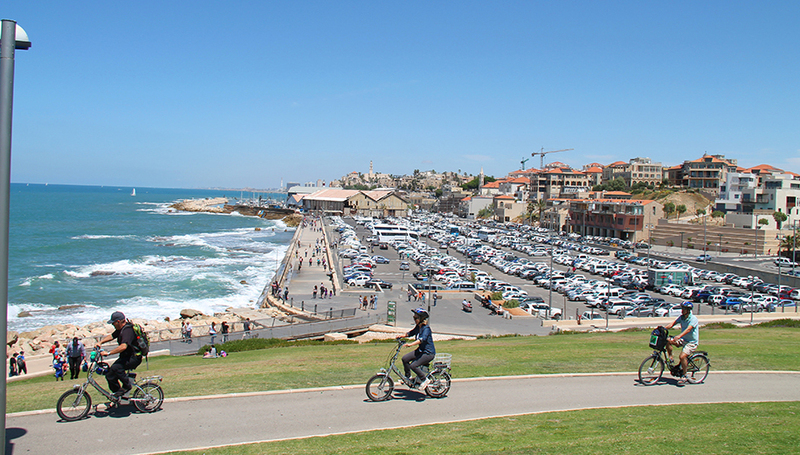 Israel is known for its rich history, holy places and amazing cultural heritage. Travel the country and its many paths- Customize your trip according to your interests. 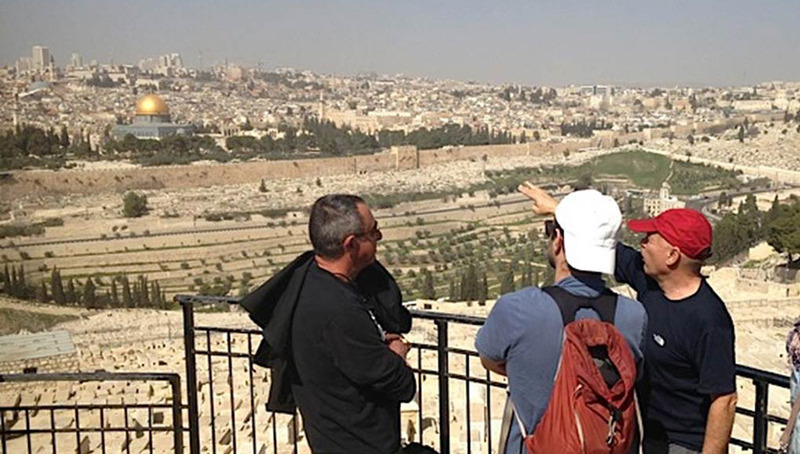 Whether visiting the holy sights, archeological digs, historical battlefields or just enjoying the geology and the view, we can create a perfect experience for you. Guided tours on electric bicycles, discover Tel Aviv in a new way. Tour Tel Aviv with the newest trend to hit the city- Electric bikes. Enjoy the scenery while travelling “green”! 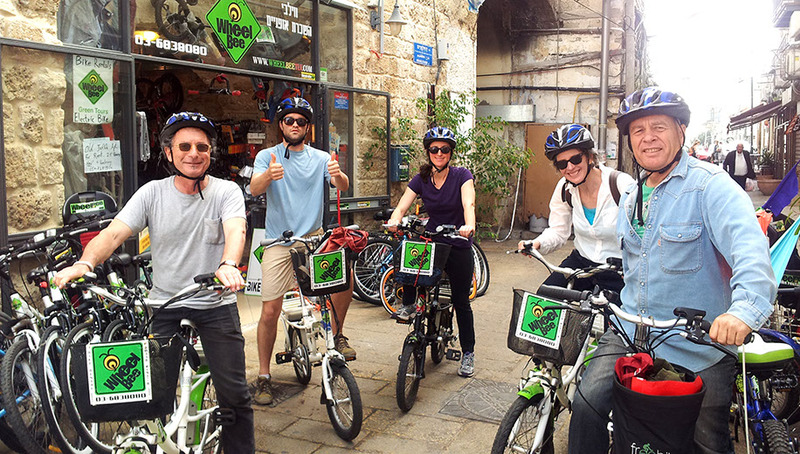 See the beautiful sites of this amazing city, riding along the different bike paths with a certified tour guide who will enrich your understanding of the culture, the people and the history of the first hebrew city. Group Activities- We specialize in creating a trip where everyone will enjoy themselves. 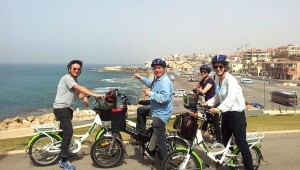 Our group tours are suitable for families on vacation, company outings, birthdays or any other event worth celebrating. 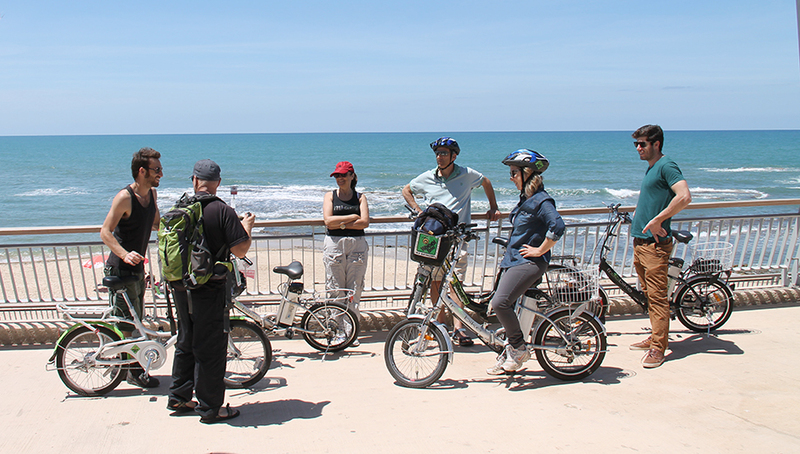 Tour Tel Aviv on electric bikes with a guided tour, enjoy the new Tel Aviv attraction and discover new places in an exciting way. This electric bike tour will start around the “White City”, a UNESCO World Heritage site and the world’s largest outdoor museum. In the 1920’s-1940’s over 4000 builings were constructed using the Bauhaus architectural style. 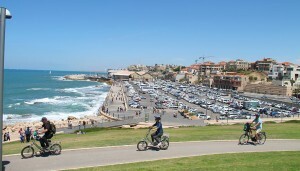 From there we’ll head to the Jaffa Port and its small alleys. 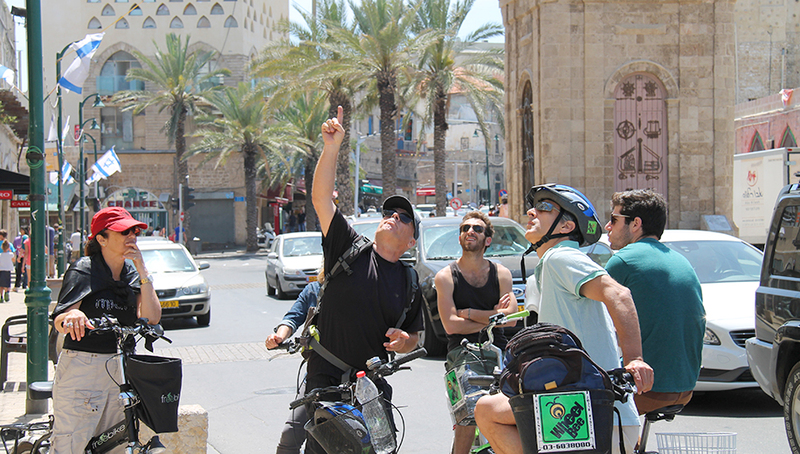 Ride around Jaffa, the doorway to the Holyland: Old Jaffa, the ancient square, Hapisgah Garden, St. Peter’s Church, The Clocktower Square and more. 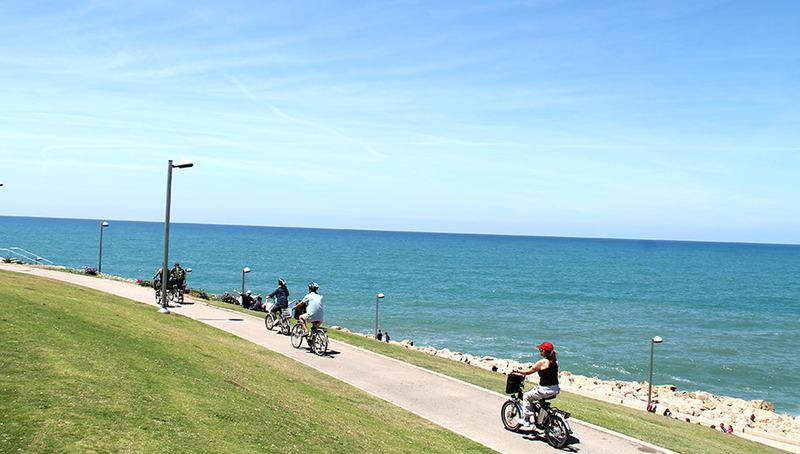 Later we’ll head into Tel Aviv’s “Little Paris”- Neve Tzedek, where we’ll visit Shay Agnon’s home, the Rokah museum, the old Eden theatre, Susan Dhalal Center of the Arts and more. An “electrifying” ride around the city that never sleeps’ green parks. 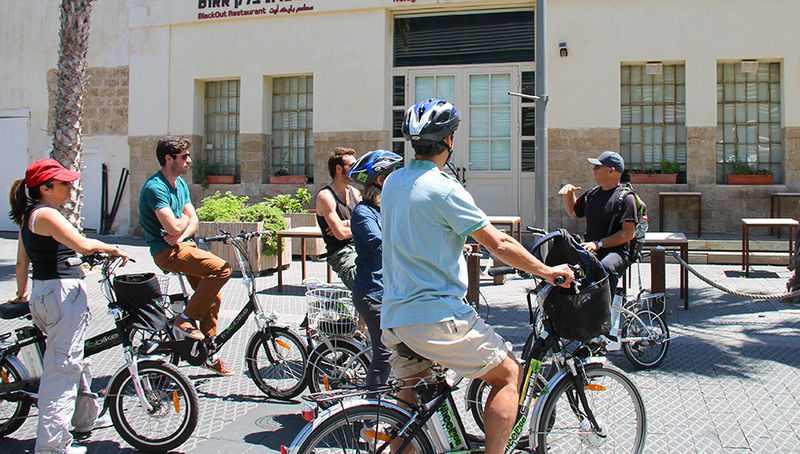 This electric bike tour will start from The Midron Park just south of Jaffa Port and look over Jaffa’s southern neighborhoods. 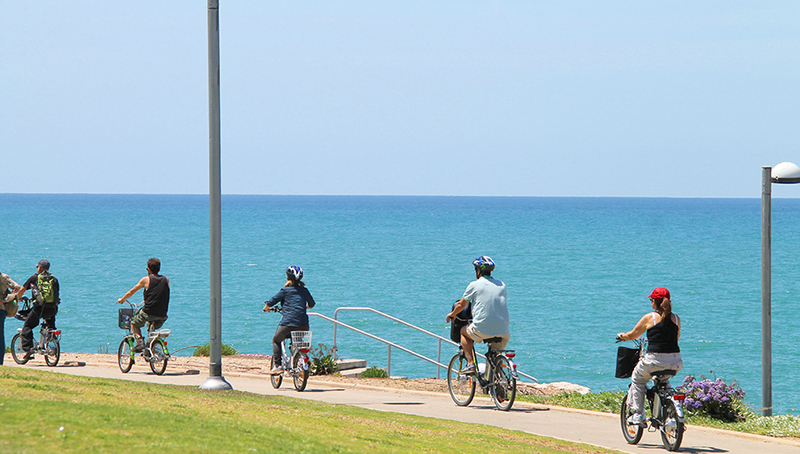 We’ll head north to Hayarkon Park with its beautiful lawns and large trees on the bank of the Yarkon River. We’ll visit the Ancient Rock Park, the Cactus Garden, the Artificial Pond, the Seven Flour Mills, Napoleon Hill, a Philistine Inn and more! Drive around Tel Aviv’s waterfront! We’ll start in Bat Yam, along the coast through Jaffa all the way to Reading Electrical Plant in Northern Tel Aviv. 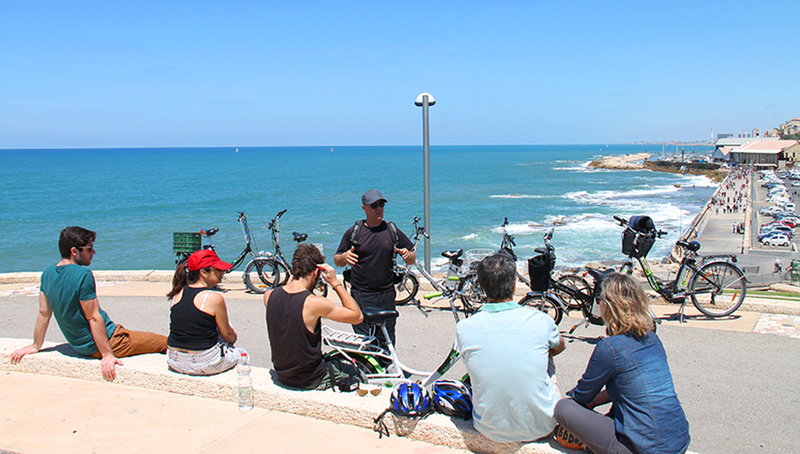 This bicycle tour showcases Jaffa’s story which began over 3500 years ago, the Blockade Runs and Antanela Memorial, the construction of the Tel Aviv port in the 1940’s and more! 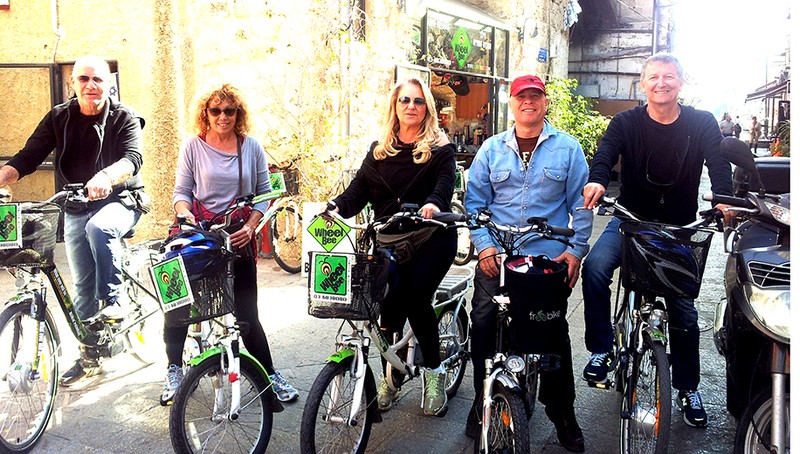 "Ronnie took my family and me on a fascinating electric-bike-tour of Yafo and Neve Tzedek. Even though I have been to Tel Aviv many times, I never understood the relationship between all the neighborhoods of this area until Ronnie's tour. 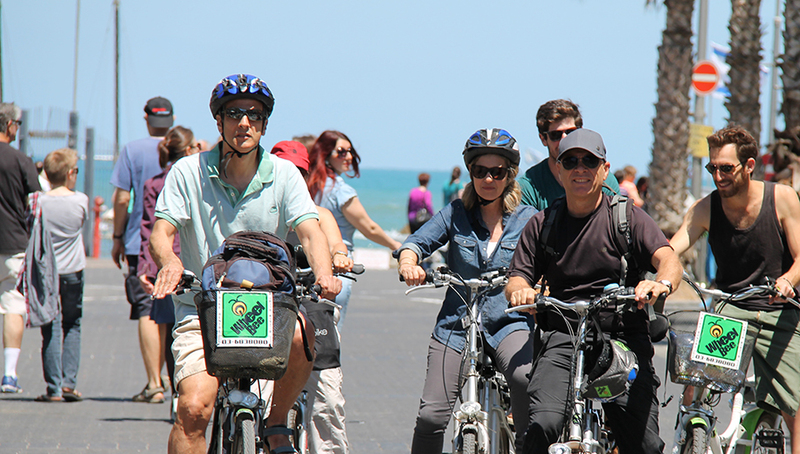 It was everyone's first time riding an electric bike - we all learned quickly, and now I can't wait to get one for myself at home. We are an Israeli/American family, and Ronnie easily moved back and forth between English and Hebrew. Ronnie has truly found his calling as a guide, and I am happy for all the people who will benefit from his expertise, vision and great humor." 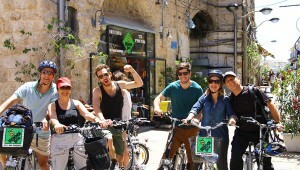 We toured with you in Jerusalem and travelled along the path Jesus traveled in his last week alive. I was amazed at how interesting you set up the tour. We were able to feel and perceive the crucificion through the 14 points that Jesus crossed. You showed vast knowledge on the subject matter and your way of teaching was amazing. You were a very responsible for the well being of the group and made us feel very comfortable. We would love to travel with you again. Last Saturday we went hiking in the Negba region with Ronnie, who lately found his calling as a tour guide. A teacher is tested not only by his knowledge but also by the way he can read his audience and create an interesting atmosphere for the subject matter at hand. Ronnie was able to create that experience, with his laid back take on life and his great sense of humor. We had so much fun! I would like to express our gratitude for the wonderful tour around the city walls of Jerusalem of the 19th Century. It was interesting to see how you were able to guide a heterogeneous group made up of families with young children from London. The tour was fascinating throughout, from Mishkenot Shaananim, Nahalat Hashiva, Bet David and the Machane Yehuda Shuk. I especially remember the amazing conversation we had at Herod's Aqueducts and the explanations you provided. 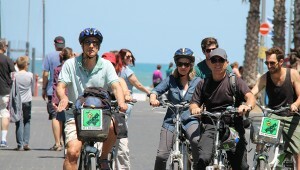 For my birthday I got the best present ever- A special bike ride for me and the whole family. 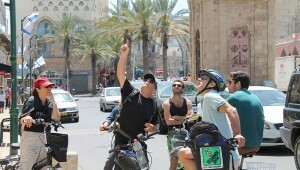 Ronnie Pri-or led the way as we toured through mystical Jaffa and historic Neve Tzedek. He showed us new places we never knew about in his unique way of teaching. Ronnie is an extremely knowledgeable tour guide with a great sense of humor. He is interesting and fun and knows how to create a great atmosphere for young and old alike. 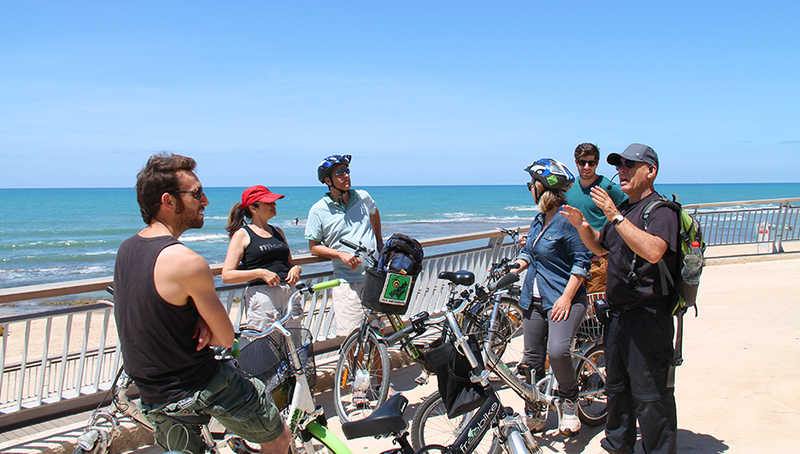 We highly recommend the tour! and the warriors of pre-1948 Israel and the War of Independence. Ronnie described the international affairs and social situation of those times in a precise and summarizing way and was able to tell us some interesting stories of the settlers themselves. 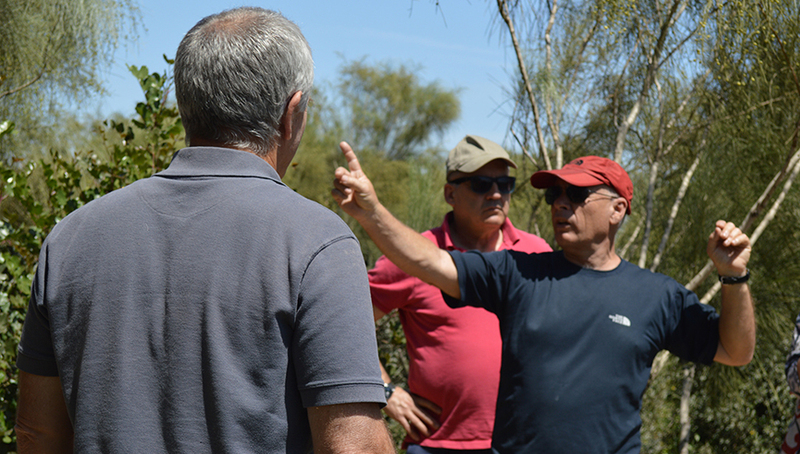 Even though we are members of Kibbutz Negba and we grew up in the area, Ronnie was able to teach us new things about the region and the battles fought in the region in 1948. We definitely recommend Ronnie for his vast knowledge and his special way of making you feel part of the story. We wish him luck in his future endeavors. My name is Ronnie Pri-Or. I was born in Tivon, a small village near the Carmel Mountains and I LOVE THIS COUNTRY! After serving in the IDF Special Forces, I studied Soil and Water Engineering at the Technion, Israel’s leading technology university. 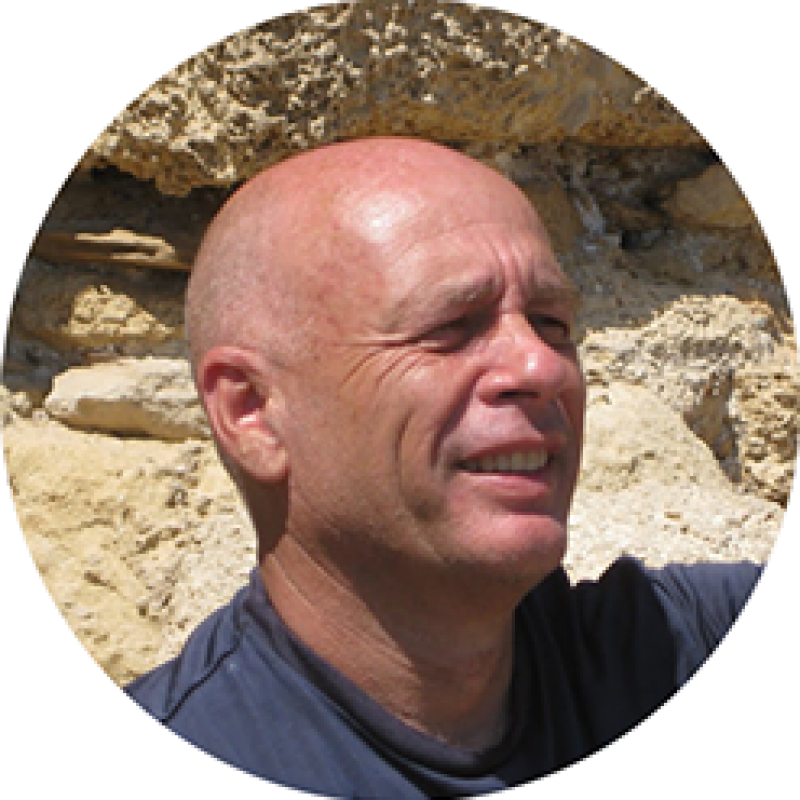 For the past 20 years I worked in the fascinating Hi-Tech industry in Israel, serving in managerial positions in many companies. 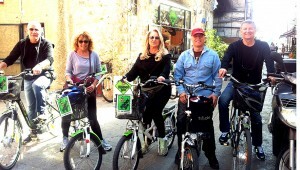 Around all these years I travelled Israel whenever I could, usually by foot or on a bike. 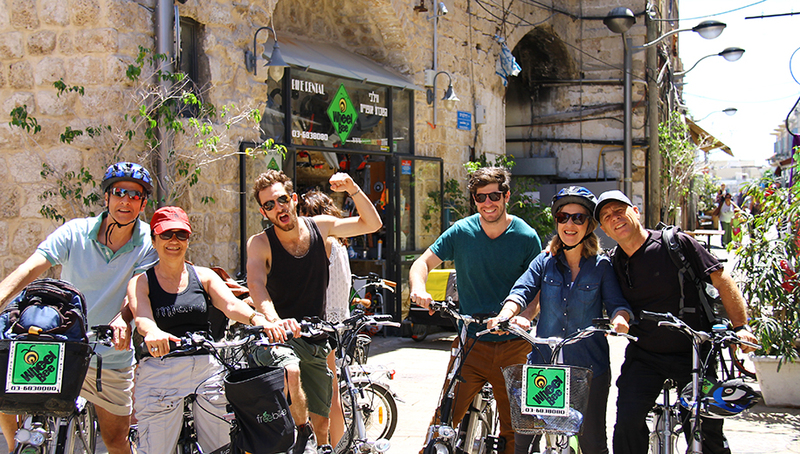 I finally decided to make my hobby into a profession, and I studied to become a certified tour guide in Israel. This allows me to combine my love for this place, the scenery, the people and the culture with my personal knowledge and love for teaching. My tours combine history and current events, old and new, modern architecture next to Templar buildings from the 19th century. Judaism, Christianity, Islam and their characters also find their way into the stories of this place. Best of all, I get to sightsee every day! 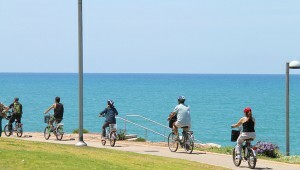 The Galilee’s rolling hills, the Negev’s vast openness, the Dead Sea, Jerusalem and more! I specialize in customizing each tour according to the audience. I can guide you in Hebrew, English or French. I try to bring a personal touch, telling you stories from my own experiences living in this beautiful land. Come experience Israel with me and I promise you’ll be wishing it’ll never end! 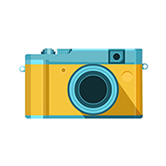 2016 © Tour de Ronnie | Website by TABUZZCO .